Sunday, March 10, 2019 download your tickets now! 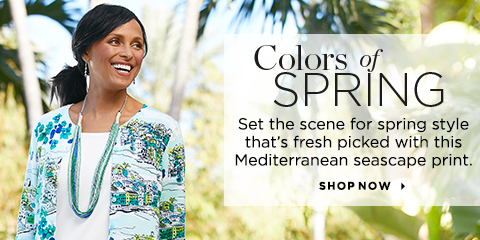 Join Us In-Store, Every Day, For A Spring Style Celebration! Join us all week long for spectacular events! shop all week Enjoy 25% off New Arrivals Our C&B Stylists are excited to make you look and feel fabulous in spring fashion. Ask how to be a Style Show Participant. Saturday, March 9, 2019 Our best-ever style show in all stores featuring "Ways to Wear" our newest collection. win a wardrobe sweepstakes! Bring your ticket in store On March 9, 2019 for a chance to "Win a wardrobe for a year*" with 20 total overall winners. 3 tickets to the style finale? download your tickets now! Click here to read all official rules.